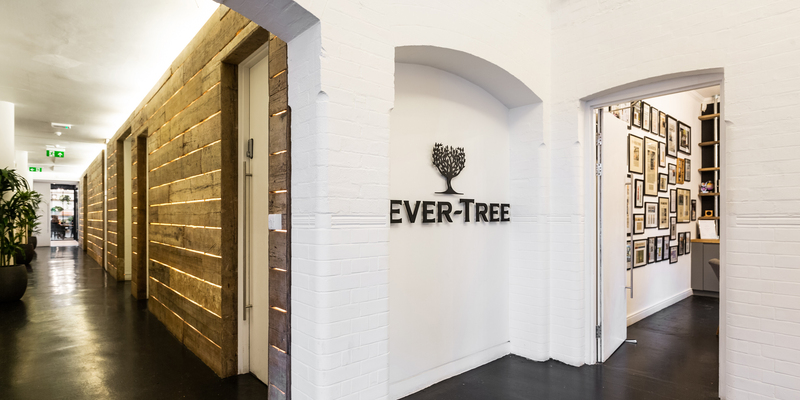 Fever-Tree, one of the UK’s fastest growing major companies, appointed ThirdWay Interiors to design their headquarters in Hammersmith. 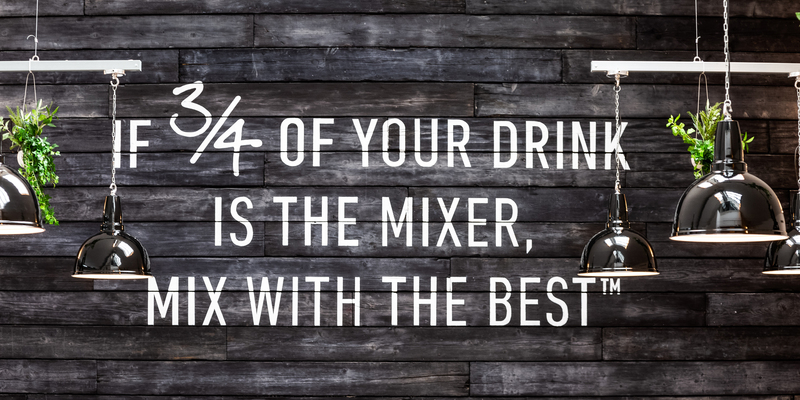 Completed in late 2017, the project spans 7000 sq ft and reflects Fever-Tree’s creativity and commitment to quality. 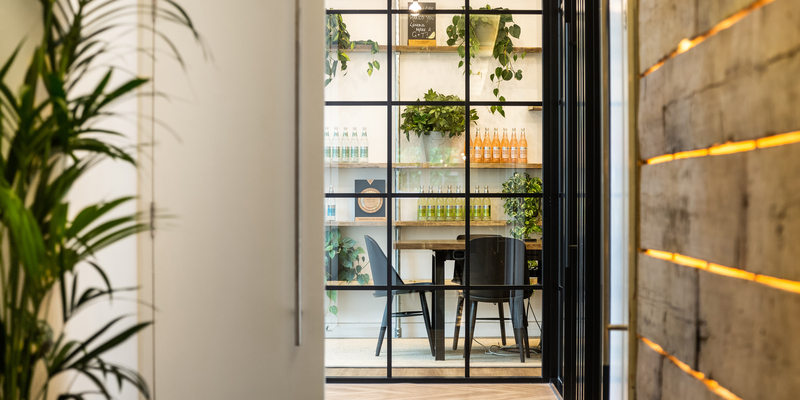 Incorporating a range of raw and natural materials, the office oozes character and showcases Fever-Tree’s explorative nature. Key to the design brief was Fever-Tree’s commitment to its ‘foraging’ roots, searching for the very best botanical ingredients, which have also been showcased in its meeting rooms, named after various Fever-Tree tonic flavours and in-house ‘taste wheels’. ThirdWays designers also incorporated the companies core values with the use of only natural and organic materials throughout the whole of the space. 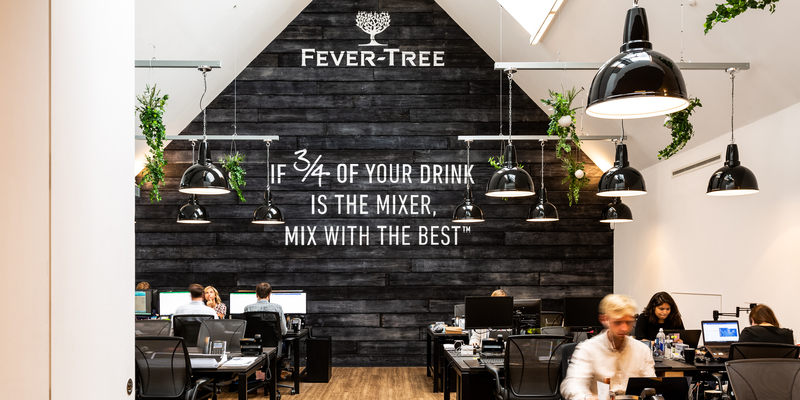 “Fever-Tree’s pioneering approach to the drink’s market gave us a great insight into how their office should be designed. 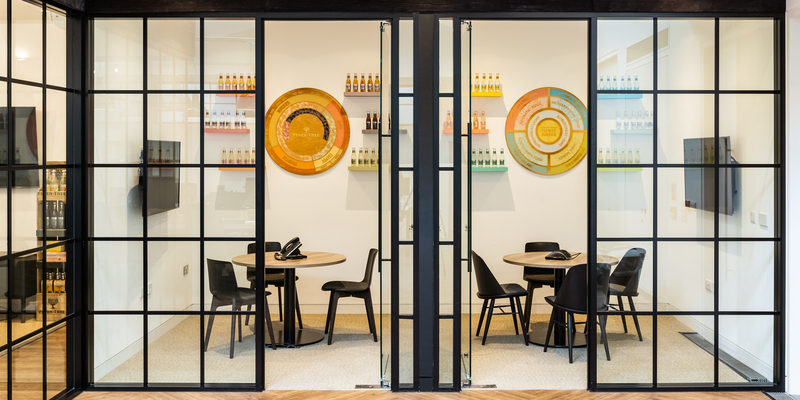 We wanted to portray their creative qualities and worked closely with the Fever-Tree team to bring together a perfect balance of important company values and contemporary office design” said lead designer, Charlotte Toon. A main focal point of the office is the bar area. Designed with a ‘pop-up’ feel, the space was created to encourage tasting events and celebrate the brand’s innovative approach to the market. 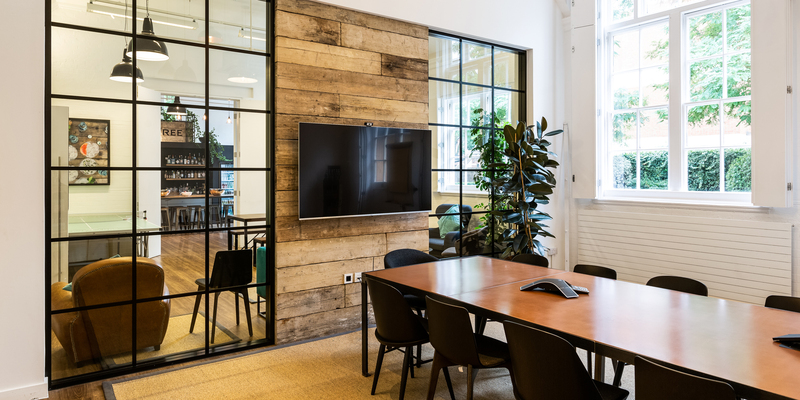 Another exciting element of the office design is a large stained black wood panelled wall with hand painted art, featuring the Fever-Tree branding. The space also boasts industrial features, including a suspended light system with large, dark pendant lights.